The Bey double takes her craft very seriously and performs up to 18 numbers a week and has two colour-coded closets. Transgender activist and professional impersonator, Riley Knoxx, credits her self-confidence and success to none other than Queen Bey. Knoxx confessed to NPR that she wasn’t always a Beyoncé fan, but believes that Bey helped her grow. “As she evolved, I evolved,” Knoxx said. “As she grew, I grew. Knoxx’s first performance was “Crazy in Love” in 2000. The song launched her career as a professional impersonator. “It was the year of Beyoncé. You couldn't go anywhere where that song wasn’t playing,” she said. The Washington DC native went on to perform it again and again until she earned the title “DC’s own Beyoncé”. She has impersonated the singer for more than 14 years. Knoxx studied the pop icon’s walk and on-stage mannerisms down to the last detail. “I certainly didn't look like her. I certainly didn’t know her mannerisms,” she said. According to BET, Knoxx grabbed attention after a video of her impersonating Beyoncé’s 2017 Grammy performance started circulating on the internet. 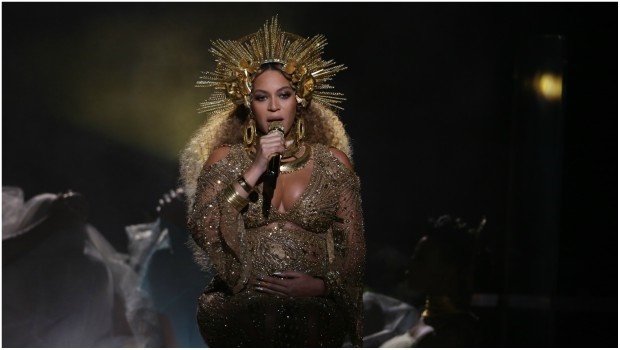 She even incorporated Bey’s golden headdress and baby bump for the performance. Knoxx is an outspoken transgender activist and has very strong opinions on the controversial bathroom laws in the US. Many states have moved to ban transgender people from choosing bathrooms corresponding with their gender identity. “I think people should educate themselves because there’s more to worry about than someone using the bathroom and what your kids are going to think,” said Riley Knoxx on Fox News.